ATLANTA, Dec. 31, 2016 /PRNewswire/ — Disposable diapers are a popular consumer product in the United States, but reports show their convenience comes at a price to the environment. An estimated 20 billion disposable diapers are added to landfills throughout the country each year, creating about 3.5 million tons of waste. According to a report from the U.S. Environmental Protection Agency, disposable diapers introduce pathogens into the environment from the solid waste they contain. While the effects of these pathogens are still being studied, experts agree that pathogens could make their way into a water source, potentially polluting drinking water. Called “the sustainable wonder crop” by the Huffington Post, hemp is becoming ever more popular as a fabric choice for everything from diapers to apparel, home décor and furnishings. The plant truly “grows like a weed,” needing no pesticides or fungicides, little fertilizer and water, and it actually improves the soil where it’s grown. 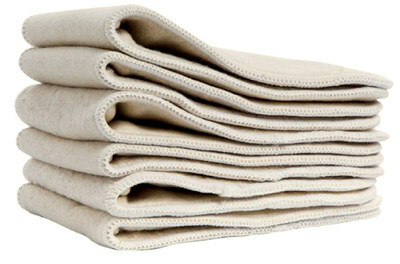 Hemp cloth diapers also absorb more than cotton by weight.